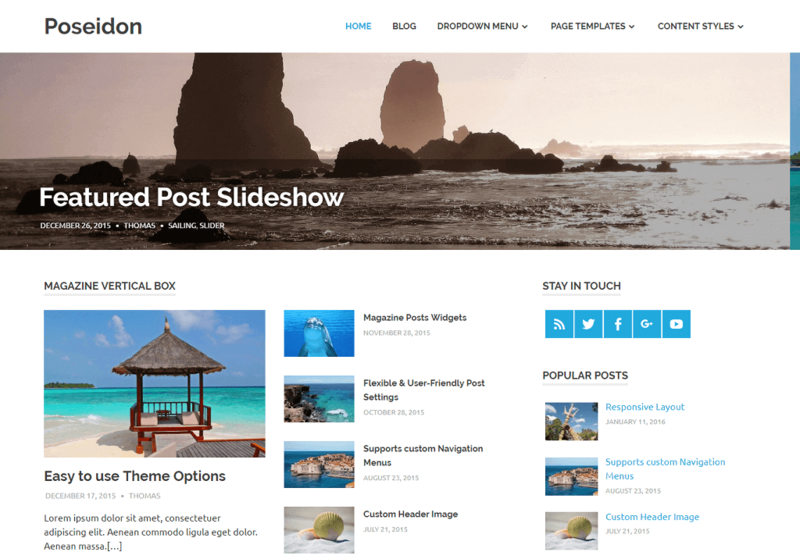 Poseidon is beautiful and free responsive WordPress theme featuring a splendid fullscreen image slideshow. The clean typography and spacious white layout makes it great to share your stories. You can use Poseidon theme as simple blog or easily create a news website with the widget-based Magazine Homepage template.